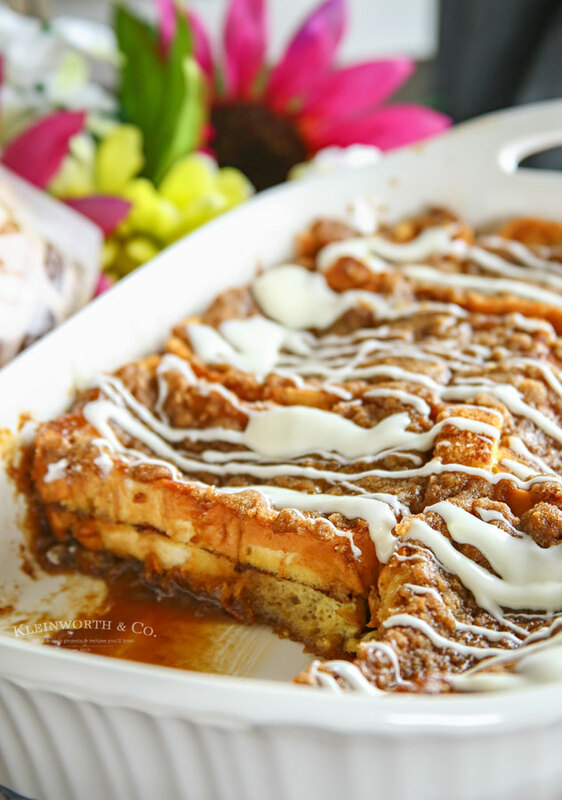 I worked with Sara Lee® Bread to bring you this family-favorite breakfast recipe. 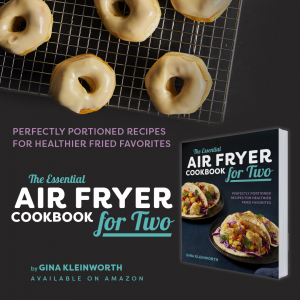 I sure love easy recipes, especially on the weekend. Anything that can give me more hours with the family instead of cleaning or cooking is a plus in my book. As much as we love making a big weekend breakfast, it’s so much work. 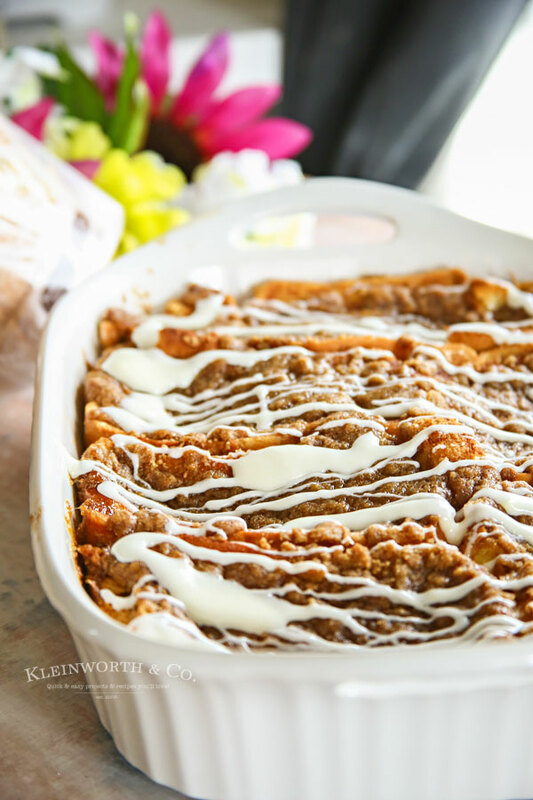 So we created this Cinnamon Roll French Toast Bake that preps in a couple minutes & chills overnight. Then we just bake in the morning while we have our coffee. It’s fantastic. 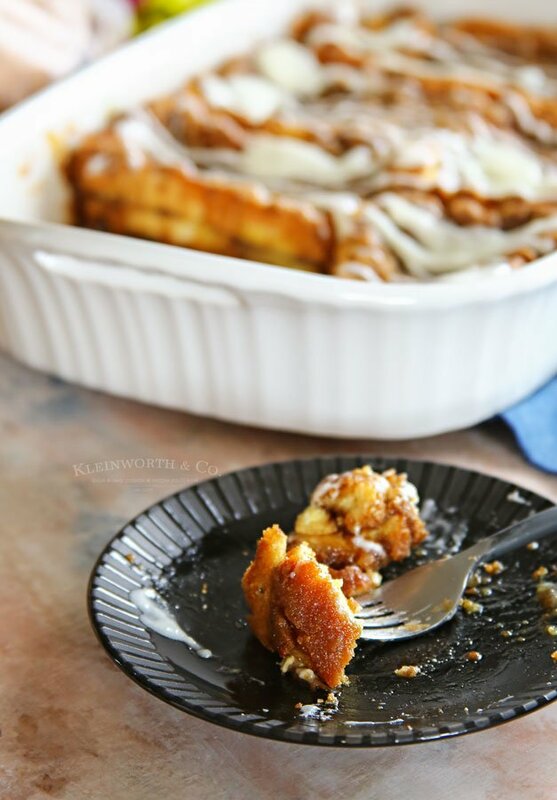 Honestly, there is a lot that goes into making a full french toast breakfast or even making cinnamon rolls over the weekend. All I want to do is drink my coffee, catch some news & spend time with my family before we get on to the hustle of the weekend. If we decide to make a meal it can take all morning before we have done the cooking, eating & cleaning up. So anything that streamlines the process is something I love. 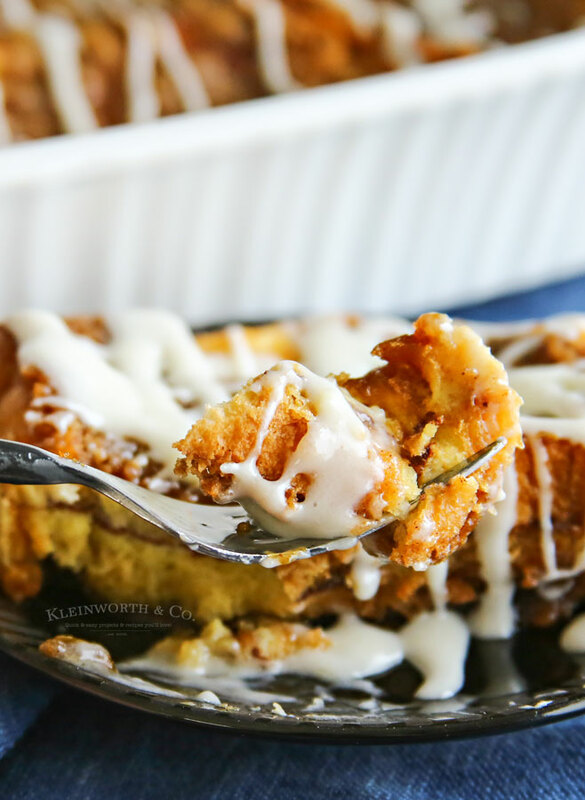 I’m telling you, my friends, overnight french toast is AWESOME for quick & delicious mornings. We all know that the basis for a good french toast is the bread, right? You HAVE TO have some amazing bread when making a recipe like this. 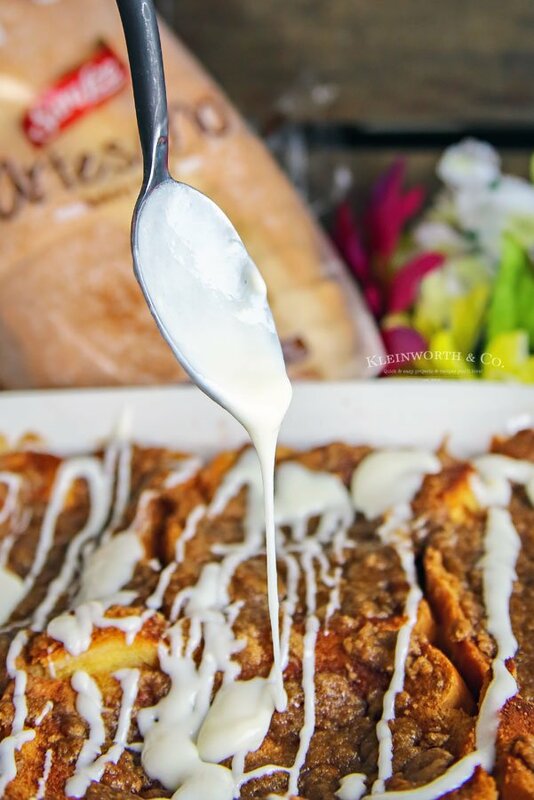 So I started this recipe with this Sara Lee® Artesano™ Bread. You just have to start with top quality bread. I knew that with no high fructose corn syrup & no artificial flavors or colors, this Artesano Bread was the perfect, thick-sliced artisan-style bread to make this breakfast the best EVER. It’s also available in a Golden Wheat version, which has a touch of honey, olive oil & sea salt. 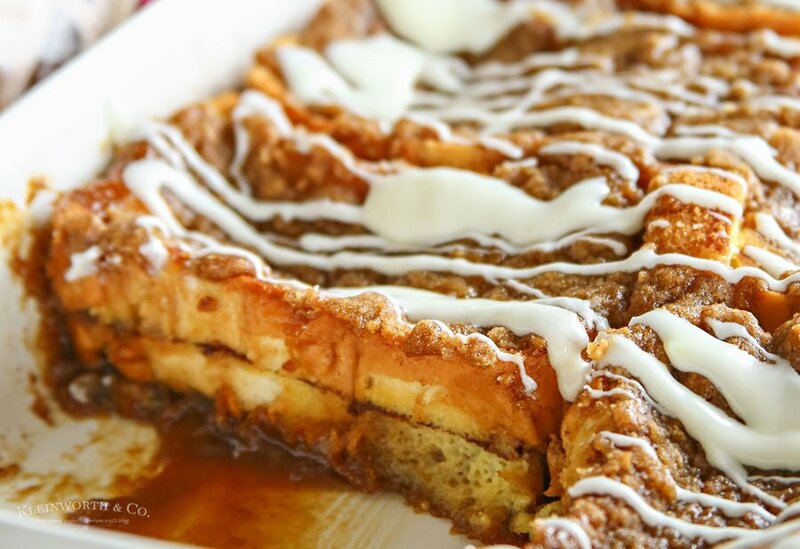 Now you can pass on the frosting if you prefer your favorite syrup. 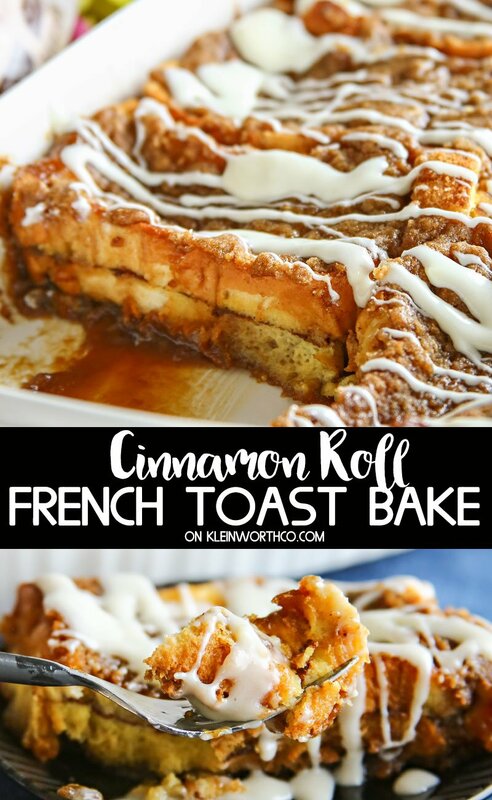 But I thought that combining all the cinnamon & some delicious cinnamon roll icing on top would be a good combo when craving cinnamon rolls & french toast. It really is the most scrumptious thing you could ask to eat for breakfast & you just can’t beat the simplicity. Friends – you will love this one. 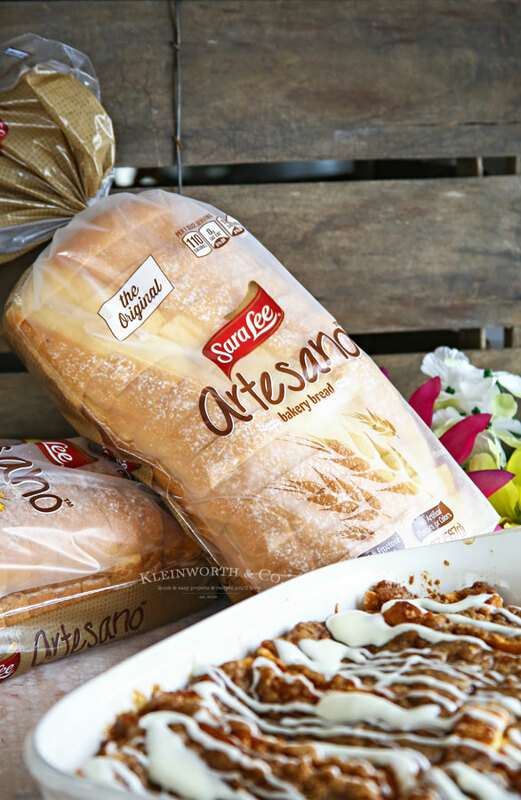 Find out more about Artesano Bread here at Sara Lee! 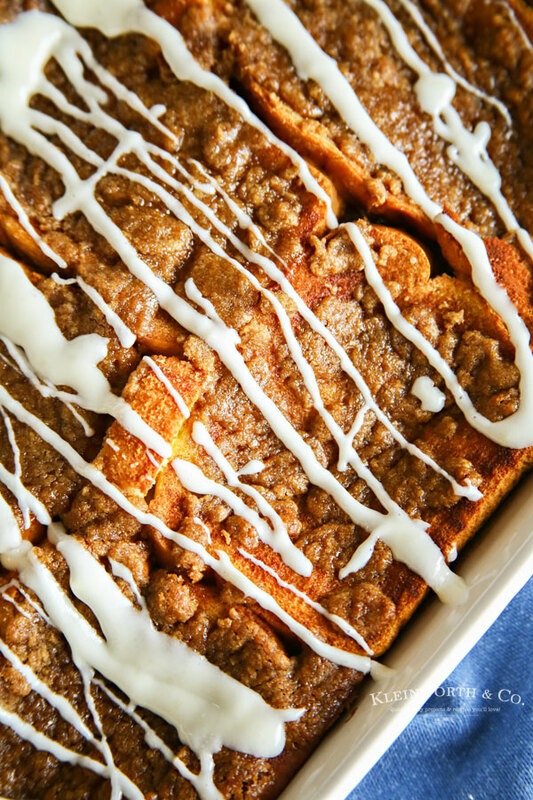 Combine melted butter & brown sugar & mix well. Pour mixture into the bottom of a 9x13 pan. Add a layer of bread. In a medium bowl, whisk together eggs, milk & vanilla. Add another layer of bread. Spread a thin layer of butter over bread. Refrigerate overnight or for at least 6 hours before baking. 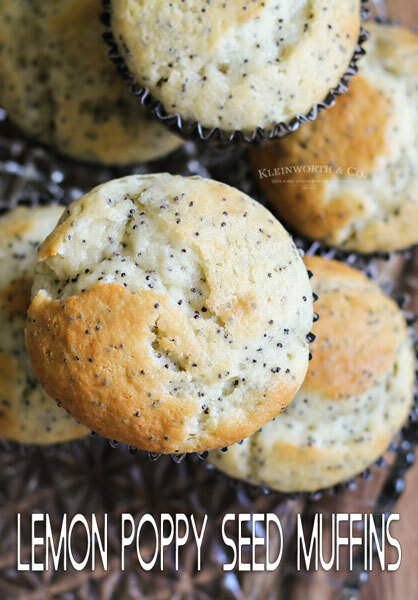 When ready to bake, sprinkle with your topping crumbles & bake at 350 for 40-45 minutes. This is a sponsored conversation written by me on behalf of Sara Lee Bread. The opinions and text are all mine. Wow! That looks amazing. 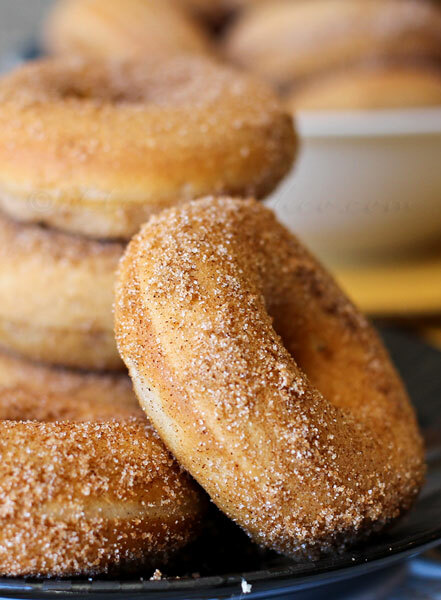 I have such a soft spot for anything cinnamony! Pinned. 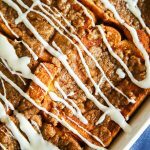 Your Cinnamon Roll French Toast Bake looks fantastic! So glad you could join us on Full Plate Thursday and thanks so much for sharing with us. Hope you have a great week and a very Happy Mothers Day! HI Joanne – I completely understand. That can be a common problem with overnight french toast recipes. 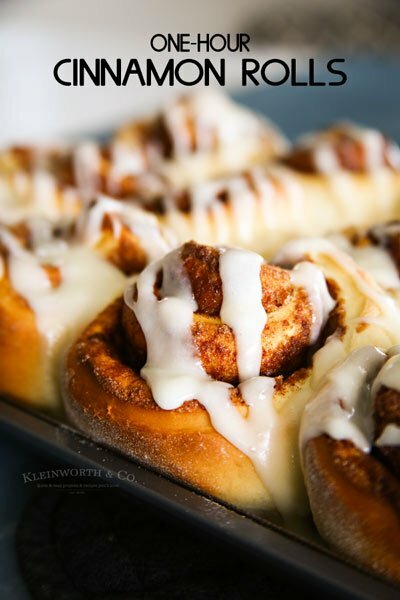 If you bake it for 5-7 minutes longer than the recipe calls for that should eliminate any sogginess that may be present in the center.